Can you make money just from curating other people’s content? It seems too good to be true, right? 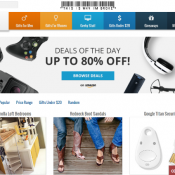 While you can find all these examples of high-traffic content aggregator websites, you still might be wondering, “are those sites actually making any money?”. And if so, how are they doing it? In this post, you’re going to learn how content aggregators work from a business perspective. You’re going to learn about some of the time and money expenses that go into creating a content aggregator website, and then how those website owners make money to recoup their investment and, eventually, make a profit! The WP RSS Aggregator plugin keeps growing in popularity having reached a total of 400,000 downloads, and there are more plans to grow it further. 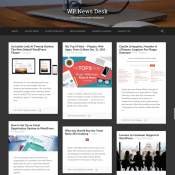 Being the Project Lead, I always look for different ways of implementing it, so I used my resources to create the best WordPress news dashboard possible, all powered by our WP RSS Aggregator plugin and its add-ons (and a few other plugins to take care of the minor tasks) – introducing WP News Desk. 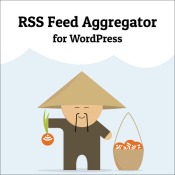 We’ve just released the new Feed to Post add-on for WP RSS Aggregator. This has been one of the most requested features for the aggregator, and we hope that you enjoy all the new functionality and possibilities that go along with the new add-on. So you want to set up your own content aggregator. WordPress is an ideal platform for this thanks to a number of plugins and themes. Today we’re focusing on themes that are ideal for content aggregation. As our plugin WordPress RSS Feed import and aggregation plugin (WP RSS Aggregator) continues to soar in popularity, I thought it would be a good idea to record a quick walkthrough of the plugin’s functionality, especially for prospective users.